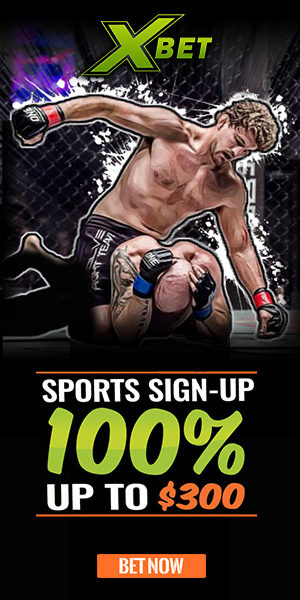 Whenever you talk about Jon Jones vs. Daniel Cormier, you’re talking about what has been possibly one of the greatest rivalries in the sport of MMA, for the simple fact that verbally, each time these are in each other’s midst, you can expect must-see entertainment. 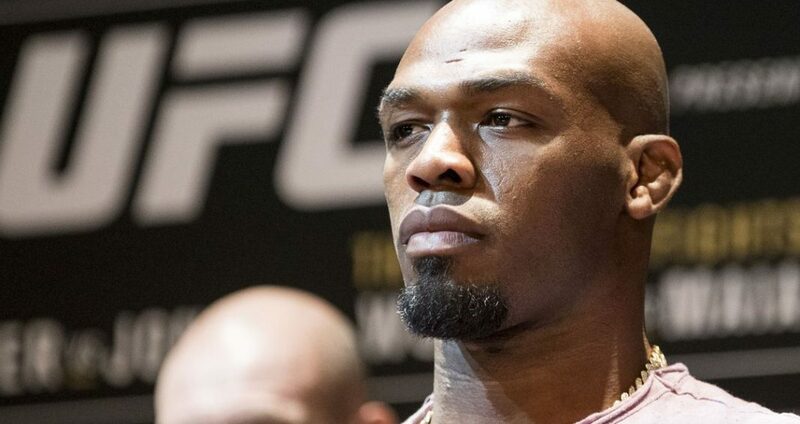 Although Jones has gotten the better of DC on both occassions they’ve fought, (though the recent victory was overturned in part to Jones failing his second drug test), you can’t deny when Jones and Cormier interact, it catches everyone’s attention. And judging from the tweets Jones put out yesterday, it looks like our attention might be caught once again. As the UFC prepares for probably it’s biggest card of the summer UFC 226 next month, the company posted a very interesting tweet that caught the eye of the former UFC Light Heavyweight Champion. 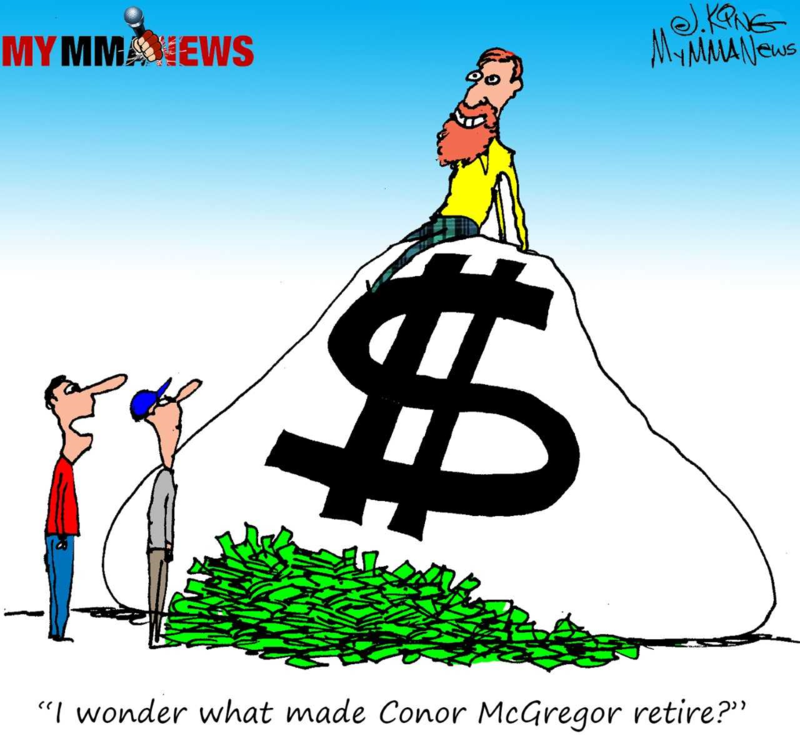 In honor of the upcoming superfight between Stipe Miocic and Daniel Cormier for the UFC Heavyweight Title, the question was posed should Cormier defeat Miocic at UFC 226 would he become the greatest fighter of all time? 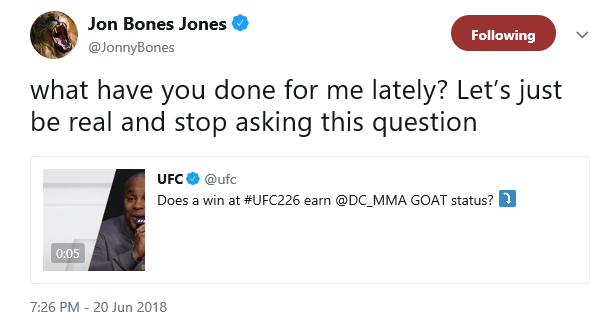 Upon seeing the tweet, an infuriated Jones replied taking the question as an insult insinuating the ignorance of the UFC for even considering his arch nemesis in the conversation.